Expertise in mindfulness, inclusion and community in workplaces and schools, emotional intelligence and understanding self and others. 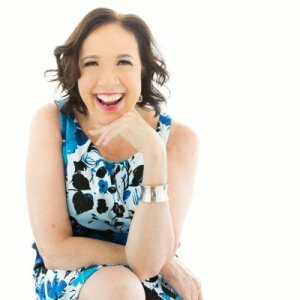 Jackie Eldridge, Ed.D., is an experienced teacher, teacher educator, administrator, speaker and coach who is passionate about inspiring and empowering leaders who are mindful agents for change. Her work in education, leadership and personal development is grounded in her belief that everyone can make a difference in the world when they are able to tap into their own understanding of self and others. Jackie believes that every individual has the potential to touch lives through mindful leadership. Jackie’s doctoral research on the ethics of care demonstrates her core value of the importance of caring connections in all of life’s relationships. When not leading Wren workshops. Jackie is a Lecturer in the Master of Teaching Program at the University of Toronto Ontario Institute for Studies in Education (OISE). She has been widely published in a variety of magazines, academic journals, papers and books, including chapters and articles related to mindful leadership, such as “Searching for Meaning: Reflections on Meaningful Professional Development.” She has been honoured with the Dean’s Award of Excellence in 2010 from the University of Toronto Mississauga. Jackie received her Coaches and Leadership Certification from the Coaches Training Institute in 2011 and has led Instructional Intelligence and Professional Development workshops across North America and abroad. Most recently, she was part of the Good Global Citizenship Think Tank, a combined initiative of Wilfrid Laurier and the University of Waterloo. This work led to the publication of “Educating Future Teachers through the Lens of an Equity and Diversity Course” in The World is my Classroom: International Learning and Canadian Higher Education. A sustainable approach entails systems thinking and a long-term perspective. Systems thinking necessitates understanding the links and interactions within a system, which is a set of connected things or parts forming a complex whole. A long-term perspective acknowledges that the actions of today have an impact on tomorrow. At TRC, we take a holistic approach to management. We work with our clients to tackle complex problems through complete, thought-out solutions. We are also diligent to ensure that in meeting the needs of today, we are not compromising the ability for future generations to meet their needs. Sustainability is commonly defined by a consideration of three pillars: The environment, society and economy. We take a four-pillared approach. We believe that at the heart of our environmental, social and economic stability is the well-being of the individual — you! Thus, helping you cultivate more well-being in your life is a core tenet of our work. Many years ago, I read the book All I Really Need to Know I Learned in Kindergarten by Robert Fulghum. I reflected on this work many times throughout the years, especially because I had been a kindergarten teacher. Recently, as I prepared for a leadership workshop, I re-visited this list and was struck by the relevance of Fulghum’s message for today’s leaders. Kindergarten is a place where we learn skills that can set us up in life. How many of these kindergarten lessons have stuck with you in your role as leader? As time marches on since Donald Trump was sworn in as the president of the United States there is more and more uncertainty that is surfacing about the future of our world. This insecurity is not limited to the United States; instead it is a global concern as the U.S. is commonly considered the most powerful country in the world and the effects of this controversial presidency are being felt internationally. With the onset of these global challenges there comes an array of backlash that threatens individual and collective mental health.